STORY: The Kingdom of Thailand is the superstar of all South East Asian destinations. There is no doubt about it. The surge of tourists has been awakened since the 90's and in 2013, the land of smiles has over 25 million visitor arrivals. Apart from the richness of the culture, the exotic taste of the food and the elegant smiles of the people, Thailand is also the cheapest to travel to. That's why nobody can argue that the country is the hottest destination to go to in the region. I was at the Immigration line, waiting for my turn, when i finally come into terms why this country's tourism industry is so successful. The line was very long, and it took me more than 30 minutes to hand out my passport to the official. Why are there so many people wanting to go to Thailand? The west have gap years and the east have holidays. And everyone wants to travel to Thailand. Why? One word. I've had my share of the best value for money traveling to Thailand for six times. Based on personal experience, i would say that in terms of money spent, this is the ultimate of all ultimate. I arrived at the port area of Koh Phangan from Koh Tao. It was my second time to visit the island, and would definitely not be my last. With no prior bookings for a hotel, i walked for a bit to chat with touts if they have recommendations for a shack to crash in for the night. It's a golden rule not to say yes to the first tout you see offering cheap price but his offer was mind-blowing. Following him lead me to a pick-up truck that drove for 10 minutes towards the jungle. 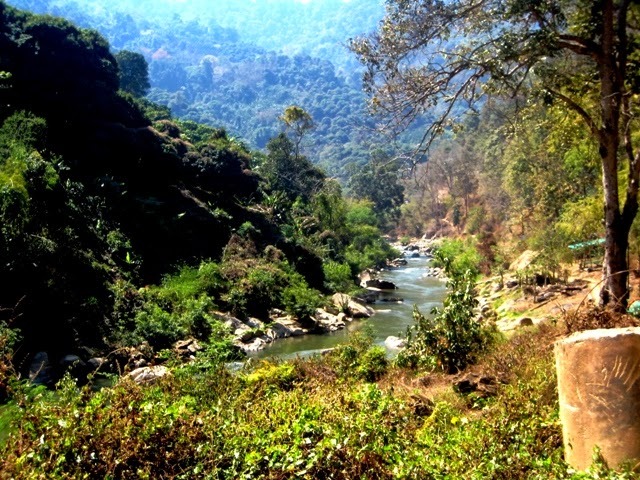 I arrived sooner than expected and walked in lush surroundings with a view of virgin forests. Thai girls approached me with a cold towel, and helped me carry my huge backpack. As i gulp the last sip of my cold banana shake, I checked the room first without walking around, and said "okay" right away. I feel so home right at the very start so i trusted my instincts. Apart from the white sandy beach overlooking the emerald waters of the peninsula, the resort is right smack opposite a marine park where snorkeling is but a few meters away. 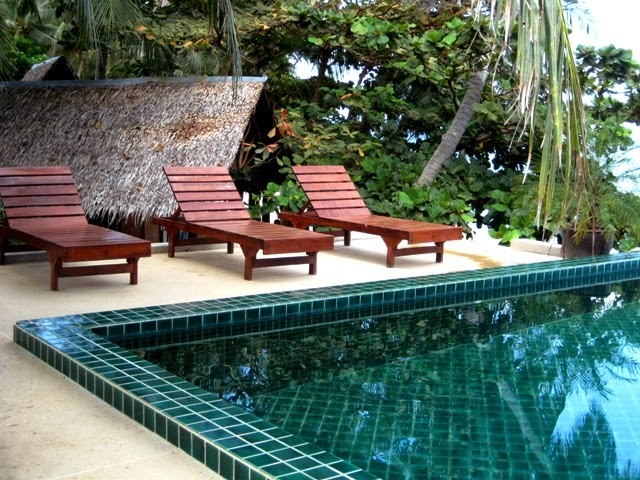 The guest house has a world-class restaurant serving delicious local and international cuisine. I walked for a bit more to discover a gym and spa area a few steps away from my lovely shack. The friendly staff toured me around the guest house, only to discover the icing in the cake - an infinity pool and the sunset spot. I stayed at this guest house longer than expected just because it was really awful for me to leave right away. 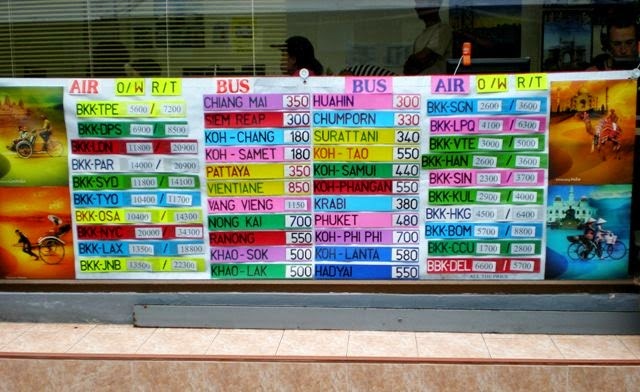 With a travel buddy, you will only need to pay 200 baht. I forgot to add, the transfer to and from the port or anywhere in the town is FREE. After too many fried rice meals, you're bound to get tired of it. Thailand's fried rice meals are always the best. You can choose whether you like chicken, beef, fish, squid or all of the above, and chances are it'll be good. I was in Krabi looking for a good place for take-out. 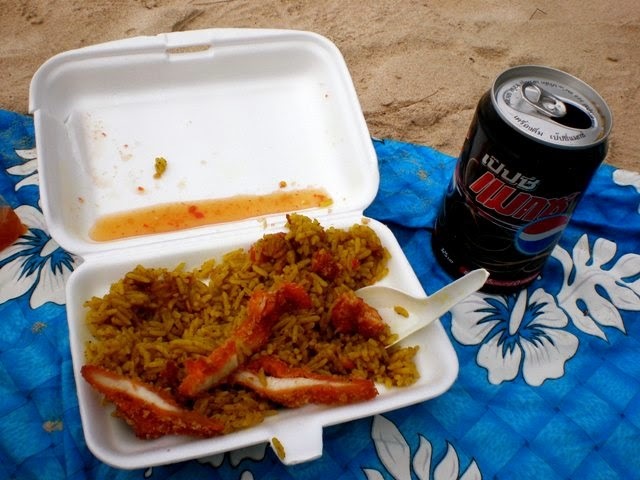 I wanted to go on a picnic to Railay Bay and i wanted to bring food with me to save some money. I stumbled upon a little restaurant, more of a stall. The friendliness of the woman won me over. She asked me what i wanted. I said, "Chicken". Considering the price i will pay, i was already expecting what the taste would be like. Little did i know, i would be surprised to find out that it's probably the best tasting fried rice I've ever eaten in the past seven years I've traveled around Asia. You will never find any joint that serves food this delicious, and at just 20 baht. I've never been a fan of tours because i like to take my time at a place. I also have a problem with spending a long time with too many people. Yet, that day, I left the hotel at 7AM for a day tour that i paid on a spree. It's called the best of Chiang Mai Day Tour. The group of ten which was not really a big group, sped away on a new AC van towards the outskirts of the city. We first went to a botanical garden that was so huge, it took us all a long time to roam around. There were hundreds of different types of flowers and butterflies set in a huge complex. All of which were my first time to see. I had the best botanical lesson from the best tour guide explaining every detail of it. We were then escorted to the foot of the mountains to see elephants in the wild, and as an added bonus, ride on elephants too. The experience was amazing, and the tour guides made sure to prioritize safety of the tourists. It was my first time to ride and elephant, and my elephant was friendly and very chilled. It was nearing noon time, so the awesome bunch ate the free meal from the tour. We trekked for a bit in one of the huts by the mountain. The view of mountains and rice paddies was superb, and the food that was served was excellent. I've had too much to eat that day that i swore never to eat anymore after. After a hearty meal, we descended towards the river for the river rafting adventure. But this time, it's different as we're paddling while sitting on bamboo sticks. We cruised and tried not too outbalance the raft. All rafts were competing against each other. In the end, we all laughed our asses out because it was not as easy as it looked like. Refreshed from the river ride and swim, we then went to see the Karen Tribe a few hours away from the river. It's an enchanting spot to watch the sunset. Chatting with the tribe members and getting a glimpse of what it would be like to trek for hours on top of the mountain was an experience we will never ever forget. There were so many produce left for selling that it was hard for me to resist shelling out bahts to purchase. We were already on our way back to the city when i realize how packed this tour is, and how ridiculously cheap i spent for the day. Without a doubt, the 500 baht i paid for the tour became nothing with the experience so unforgettable, it sure made me smile a whole lot. 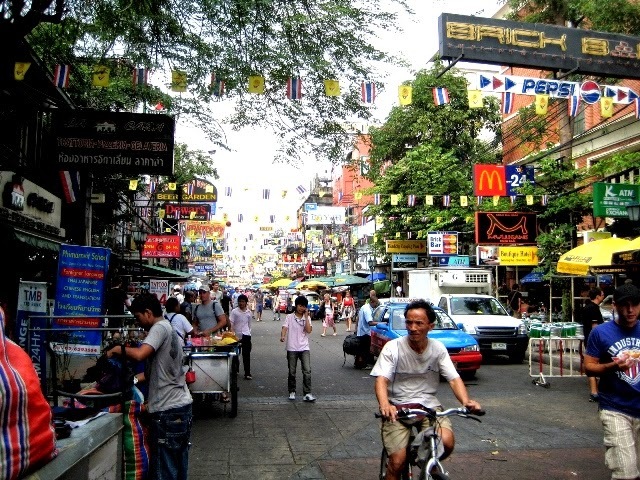 Walking along Khao San Road is always a delight for me. I always stay around the area whenever i'm in Bangkok. Some people hate it because it's a rowdy place. I love it because the location is great and for night owls like me, i can get whatever i want whenever i want it. 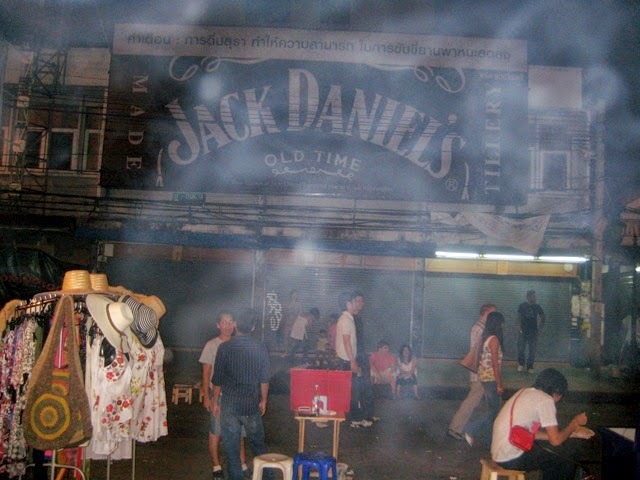 It was one o'clock in the morning on a Tuesday night when i did my usual stroll around Khao San. I went to the opposite side near Burger King to look for a place to drink. A lovely woman offered me a seat by the road. She said i can go drink at her bar. The price for the Chang beer was good enough so i said "why not". I've spent five hours talking to her. Some blokes who would sit and order beer but she stayed with me. We've discussed everything you could think of. And i am beginning to like how things are going. We exchanged contacts and vowed to see each other again. Knowing i could potentially ruin my budget for the entire trip, i asked for the bill right away. It was nearing sunrise and i have to sleep so bad. Imagine my surprise when she gave me the warmest smile ever, and said "It's FREE. I invited you here so no need to pay". After seven bottles of Chang beer, and hanging out with a woman i could possibly marry, i actually paid nothing. Amazing! TIPS: There are many scams in the country, particularly in the capital city. But there will always be genuine places you can check out. Be cautious of the people you meet, especially the tuk-tuk drivers, and the never ending story of the gem stores. But don't let the bad reputation turn you off. There have been stories of getting mugged, robbed, raped in and around Bangkok so it is always advised to be on alert. RECOMMENDATIONS: Don't always think that people would want to get money from you. Thais are generally very gracious and friendly people. The surge of rich tourists is apparent, and sometimes the locals may feel that everyone is rich too. But if you try to chat with them, and let them know of your pure intentions, you could also feel my sentiments. Who knows? You might just get an awesome deal as well.